now here are my options. some Diamond clear headlights off ebay (Depo) for a grand total of $83. or replace my hood, fender, and my trunk lid for like $115 from Chris. 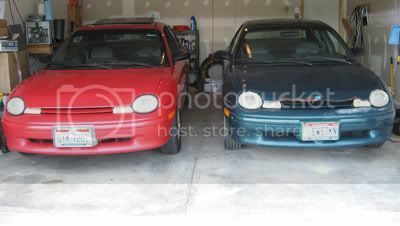 but the downfall to that would be it would most likely me a multi-colored car for a while (very long while...) but it would get rid of the rust for the most part. which options would u guys choose? I'd go with the headlights and search for good body panels in your color. eh i dunno ... back off on the headlights. I'd stick with the depos from MP i've never trusted headlights coming from ebay unless it was directly from the TYC dealer. I'd say the priority would be on fixing the car first to prevent any rust ... ect. Vinny wrote: I'd go with the headlights and search for good body panels in your color. Headlights for sure. Unless you look around and find the body parts the color of your car. Nothing worse than a multicolored car that wont get painted soon. They look like trash, cars I always make fun of! So, headlights, then worry about finding the correct color parts to match your car. Please! rust is like a communicable disease ... suit yourself. I understand rust is bad. BUT, if its not real noticable and you dont have to replace NOW, then look around or find a local painter to paint match the parts for cheap. Id rather have rust than a car with a blue hood, black fenders, purple trunk, and a red door. i guess it all depends on whether or not u'd rather catch the rust now and save your car or spend more money in the long run and let the rust expand more. By the gas cap is a main part. I cant be removed. The rear of the car back there is basicallt one full piece. except trunk, rear facia. true but like i guess what i was meaning is that its not spreading side to side i guess... and it should be fine until my dads Neon dies. Or just pm a few people on the org that always have neon body parts. If you wanna go that route then do it. But do it right, the same color, even if some parts are more faded than other or what not, they will at least be the same color. Know what I mean? At least you figured youl be poor with these cars. SO addicting tho!